Objective: ‘Neuro-robotic exoscope’ is a recent advance. Reports on the use of this operative visualization system are few. In this study we have described our initial experience with the use of Bright MatterTM system for various neurosurgical procedures. 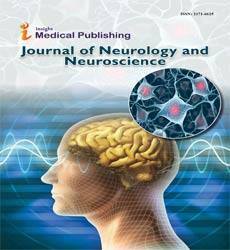 Methods: All patients who underwent neurosurgery using Bright MatterTM (Synapive Medical) at the Aga Khan University Hospital (AKUH) from April 2016 to October 2016 were included in this retrospective study. Data was collected from medical charts. Descriptive analysis was performed using SPSS v 21. Results: Bright MatterTM systems were used for a total of 71 cases. The exoscope was used with neuro-navigation and Diffusion Tractography Imaging (DTI) in 28 cases while in 7 cases it was used without navigation. During the same study period, neuro-navigation alone was performed for 36 additional cases but the exoscope was not used. The exoscope was used for a total of 53 hours while the Operating Microscope (OM) was used for 33.5 hours. A total of 12 cases were completed using the exoscope alone, without the need of the OM. Twenty-four lesions were found to be involving different white matter tracts of the brain. Gross Total Resection was done in 17 (of 30) patients. Perioperative mortality was 0%. Five patients had a new neurologic deficit postoperatively. Conclusion: Early experience with the use of exoscope is promising. Upcoming improvements in the exoscope such as three-dimensional stereoscopic system and angled lenses will further improve the functionality of this system. Progress in neurosurgery has been linked with an improved illumination and visualization. Operative Microscope, (OM) with excellent magnification and illumination, has become indispensable for most neurosurgical procedures. The quest for better intraoperative visual aids has not stopped. The OM is bulky, causes surgeon discomfort, has narrow depth of field and is costly. Minimally invasive endoscopic surgery has its own limitations due to its short focal length, long learning curve and issues of handling . recent advent in operative imaging is the ‘neuro-robotic exoscope’, a rigid rod lens system that is positioned outside the surgical cavity. Improved visualization, especially in and around corners, good illumination, magnification and high maneuverability with the use of a neuro-robotic arm adds further to the strengths of the exoscope. This recent addition to the neurosurgeon’s armamentarium has gained approval among many peers but its use so far had only been limited to few centers . In April 2016, Aga Khan University Hospital (AKUH), Karachi started using neuro-robotic exoscope (Synaptive Medical, Bright MatterTM). Since its acquisition, it has been in use in all the different types of neurosurgical procedures, at AKUH. We planned to report our early experience with the use of the exoscope and study the learning curve with its use. This was a retrospective, medical chart review of all the cases performed at Aga Khan University Hospital (AKUH), Karachi, Pakistan where neuro-robotic exoscope was used. Study period was from April 2016 to October 2016. All patients operated using the exoscope at the Aga Khan University Hospital during the defined study period were included. No cases were excluded. Since this was a retrospective chart analysis using patient medical record numbers, patient identity was kept confidential and ethical approval was exempted. Approval from the Data Review Committee at Aga Khan University was sought before the commencement of the study. 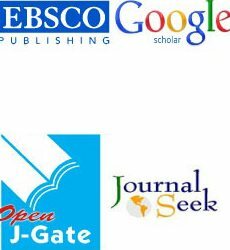 Research Registry number ‘researchregistry 2348’ was also obtained and our work was reported in line with the PROCESS criteria . All procedures were carried out by the principal investigator and his team only, making sure that patient identity and confidentiality was preserved during all stages of the procedure. The decision to operate using the exoscope was made exclusively by the operating surgeon, depending upon his comfort and the level of complexity. Cases were identified using the hospital database. The Aga Khan University Hospital records data for all patients treated at the hospital. Medical records of all patients fulfilling the inclusion criteria were retrieved using medical record number. Patient demographics, relevant clinical history including presenting features, physical examination findings, location and pattern of lesions, radiological imaging and impression, management along with details of surgery and outcome were reviewed. Data was collected using a self-designed pro forma. Descriptive analysis was performed using SPSS version 21.0. Synapive Bright MatterTM systems were used for a total of 71 cases. The exoscope was used with neuro-navigation and Diffusion Tractography Imaging (DTI) in 28 cases while in 7 cases it was used alone. During the same study period, neuronavigation alone was performed for 36 additional cases but the exoscope was not used. Table 1 denotes data on use of these systems. Table 1: Frequency of use of synaptive medical, bright matter systems. Thirty-two cranial and 3 spinal cases performed with the exoscope. The exoscope was used for a total of 53 hours while the OM was used for 33.5 hours. Mean duration of exoscope and microscope use was 1.5 and 0.96 hours respectively. A total of 12 cases were completed using the exoscope alone, without the need of the OM. Basic clinical features of the patients are shown in Table 2. Table 2: Clinical features of patients included in the study. Thirty patients were operated for intra-cranial space occupying lesion. Of these 15 patients had a preoperative deficit on neurologic examination. Twenty-four lesions were also found to be involving different white matter tracts of the brain. Most frequently observed tumor was Oligodendroglioma (n=7), followed by Meningioma and Glioblastoma Multiforme, seen in 6 patients each. In 17 patients, Gross Total Resection (GTR) was attempted and successfully achieved, as evidenced by absence of residual disease on the 6-week postoperative scan. Sub Total Resection (STR) was carried out in 10 patients and a de-bulking procedure or a biopsy was done in 3 cases. There were no intra- or immediate postoperative deaths. Five patients had a new neurologic deficit postoperatively 3 patients developed hemiparesis only, while 1 had hemiparesis and aphasia. Occulomotor nerve was injured in 1 patient intra-operatively. These patients were managed with physical therapy and weakness improved (NOT reduced) in all cases. 6 patients had postoperative complications such as a transient drop in GCS, seizures or fever. Of these 6 patients, 2 required ICU care and mechanical ventilation while the rest were successfully managed medically. Thirty patients had a Glasgow Outcome Score of 5 postoperatively. Twenty-nine patients were seen in follow-up and the median time of follow-up was 5 months. Six patients were lost to follow-up. Spinal surgery patients did not have any preoperative or new postoperative neurologic deficits or complications. Resolution of symptoms and return to normal activity were documented on follow-up of all three patients. No adverse events which could be attributed to the use of exoscope were seen. The most important benefit of the exoscope system is the ease of integration with surgical navigation systems and other video monitor-based intraoperative applications. Furthermore, it facilitates simultaneous display of radiographic images coregistered to the operative field. DTI can also be viewed intraoperatively, helping to avoid important white matter tracts, enhancing the safety of the equipment for the patient, reducing morbidity. This was clearly seen in our group of patients as GTR was achieved in 17 cases while in 10 cases STR was done in order to preserve important white matter tracts avoiding postoperative new neurologic deficits, which were only seen in 5 of our patients. The exoscope has recently been used with special light filters to detect 5-ALA fluorescence in tumor resection as well. This can be an unparalleled advancement as it provides real time aid to the surgeon while resecting a tumor, helping to achieve complete resection while other intra-operative imaging modalities cannot be solely relied upon due to brain shift [4,5]. The exoscope allowed a large working field, freedom of movement and the benefit to have both macroscopic and microscopic visualization while operating. Additionally, the same high-quality image is seen by the surgeon, assistants and the entire operating room staff, increasing anticipation, participation by the whole team [1,2]. In our series, 20 procedures were performed with 4 or more doctors who were scrubbed into the case. In case of the OM, a maximum number of 3 people can view through the microscope, while the rest can witness the procedure on an analog display screen. Thus, the exoscope is ideally suited for teaching of residents and fellows. As the magnification, focus and field of view can be manipulated by the robotically controlled camera and displayed on a video monitor, the surgeon is able to operate from a comfortable position with minimal strain on the neck or arms, thereby reducing surgical fatigue or end-point tremor. Improved surgeon comfort and decreased fatigue may also eventually contribute to a reduction in errors and decreased operative times [1,2,6]. Figure 1 shows our operating room arrangement while operating with the neuro-robotic exoscope. 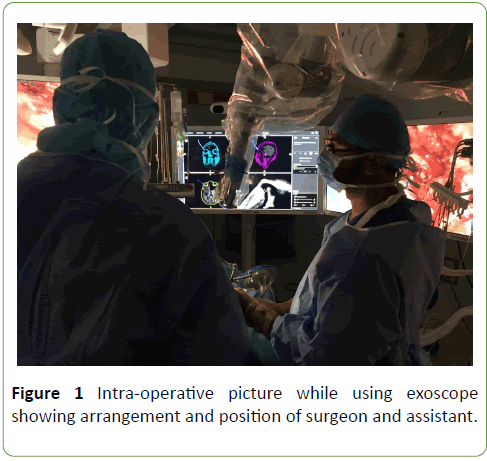 Figure 1: Intra-operative picture while using exoscope showing arrangement and position of surgeon and assistant. Because the exoscope system is entirely extracorporeal, there are no issues with lens fogging or constraints of bony anatomy, problems frequently encountered with traditional endoscopy [1,7]. Use of the exoscope has also been recommended to act as a bridge between microsurgery and endoscopic surgery . Standard neurosurgical instruments can be used a hence much smaller “learning curve” than that experienced with traditional endoscopic neurosurgery is reported . The exoscope is light, easily portable and less expensive compared to the microscope, opening the possibility of mobile microsurgical procedures, which could be important in military hospitals, small facilities, at remote locations in developing countries and in trauma settings. For spinal surgical procedures, the exoscope can be positioned perpendicular to the skin surface throughout the duration of the allowing initial dissection to be done under magnified view as well. The ability to move the exoscope rapidly into and out of the operative field using the compact robotic arm proved to be efficient, especially when spinal instrumentation and/or fluoroscopy were used [1,2]. In a recent prospective cohort trial, comparing the use of exoscope and the OM to perform lumbar spinal surgery, there was no statistical difference in the operative time or length of hospital stay between the two groups. Although operative time did not decrease with the use of the exoscope, its increased versatility over the OM could reasonably lead to shorter operative times with further experience using this system . Major criticism of the current exoscope system is the lack of stereopsis. In exchange for the lack of stereoscopic vision using the exoscope, there is a dramatic improvement in depth of field that minimizes the need for repositioning and refocusing [1,2]. To negate any bias that neurosurgeons may have because of being trained with the OM, a study was conducted using medical novices inexperienced with either technology. The participants were asked to complete a surgical task on a cadaver using both the microscope and the exoscope. All individuals concluded that the exoscope was easier to use and better for teaching . Data supporting the importance of stereopsis to surgeon’s performance are conflicting. The consensus of most experienced endoscopic skull base surgeon’s laparoscopic surgeons is that the lack of stereoscopic vision is not a critical limitation to surgery and can be compensated for with surgical experience . At our hospital, lack of stereopsis is considered a drawback of the exoscope compared to the operating microscope. However, as surgical experience increased during the procedure, this disadvantage lessened. In the earlier half of the study period, the ratio of time of exoscope to OM usage was 26:18.5 hours which improved to 27:15 hours in the later half. Surgeons were comfortable with using the exoscope when operating superficially, while the OM was usually taken for the more challenging parts of the case while working in deeper areas of the brain. Figure 2 shows the trend of number of hours of use of each equipment. Although the learning curve may not be very steep, it shows that the exoscope is consistently being used more than the OM. Figure 2: Hours of equipment use per case. Early experience with the use of exoscope is encouraging. Upcoming improvements in the exoscope such as threedimensional stereoscopic system and angled lenses will further improve the functionality of this system. However, the learning curve with its use is longer than expected. Although the exoscope seems like a revolution after years of evolution of the microscope, newer technology should be taken with caution especially with the decades of experience with proven equipment. We have only seen the advantages of the exoscope in a small number of patients. Larger studies may be carried out to better elucidate the comparison between the two pieces of equipment. None. This manuscript has not been previously published or submitted elsewhere for review. Shirzadi A, Mukherjee D, Drazin DG, Doniel G, Paff MBS, et al. (2012) Use of the video telescope operating monitor (VITOM) as an alternative to the operating microscope in spine surgery. Spine 37: 1517-1523. Mamelak AN, Nobuto T, Berci G (2010) Initial clinical experience with a high-definition exoscope system for microneurosurgery. Neurosurgery 67: 476-483. Agha RA, Fowler AJ, Rammohan S, Barai I, Orgill DP. The PROCESS statement: Preferred reporting of case series in surgery. Int J Surg 36: 319-323. Belloch JP, Rovira V, Llácer JL, Riesgo PA, Cremades A (2014) Fluorescence-guided surgery in high grade gliomas using an exoscope system. Acta Neurochirurgica 156: 653-660. Piquer J, Llácer JL, Rovira V, Riesgo P, Rodriguez R, et al. (2014) Fluorescence-guided surgery and biopsy in gliomas with an exoscope system. BioMed Res Int 2014. Birch K, Drazin D, Black KL, Williams J, Berci G, et al. (2014) Clinical experience with a high definition exoscope system for surgery of pineal region lesions. J Clin Neurosci 21: 1245-1249. Mamelak AN, Danielpour M, Black KL, Hagike M, Berci G (2008) A high-definition exoscope system for neurosurgery and other microsurgical disciplines: preliminary report. Surg Innov 15: 38-46. Vijay P, Yadav Y, Yatin K, Shailendra R, Ashish S, et al. (2016) Learning neuroendoscopy with an exoscope system (video telescopic operating monitor): Early clinical results. Moisi M, Tubbs RS, Page J, Chapman A, Burgess B, et al. (2016) Training medical novices in spinal microsurgery: Does the modality matter? A pilot study comparing traditional microscopic surgery and a novel robotic optoelectronic visualization tool. Cureus 8.